Welcome Research has shown that moving house can be one of the most stressful events you are likely to encounter in your lifetime, often being ranked alongside divorce and even bereavement. The good news is that is doesn’t have to be that way. The bad news is that the only person able to ensure that it goes as smoothly as possible is you. removals companies for example will undertake the packing for you, and a local storage company can house furniture until you can find another home for it. Technology can also make life easier, try www.iammoving.com for a one stop shop when changing your address. Above all, try to enjoy the experience. It may seem daunting at the outset, but try to keep the reasons behind the move in focus. You might be moving up the property ladder which is a celebration in itself, or relocating to a different area in order to start a new job, be nearer family or to move in with your partner. Either way your new home is a new beginning. So, once you are all packed up and have survived moving day itself then you can get on with your new life. So good luck and remember to keep positive! 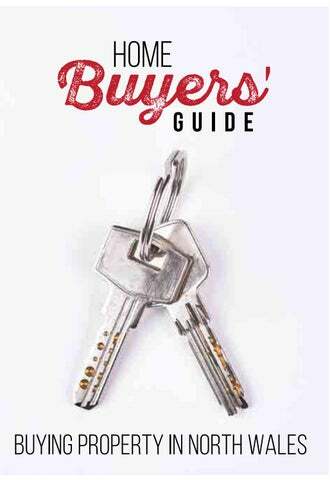 The Home Buyers’ Guide is an independent, regional magazine that is printed bi-annually by KSG Publishing, the publishers of North Wales Magazine. It is available to pick up, free of charge, from a wide range of estate agents throughout Conwy, Denbighshire, Flintshire, Wrexham, Gwynedd and the Isle of Anglesey. Moving house or buying your first home? Richard Williams builders merchants have everything you need to renovate or extend your new property. Whether it’s updating an internal door, installing a whole new patio or decking area or just replacing a fence panel, we stock a great range of quality products to get the job done. We have branches in Llandudno Junction and Ruthin and offer a delivery service across North Wales. THE BUYING PROCESS Buying a house actually comes down to a series of different actions. And it is vital that they happen in a certain order, otherwise you could hold up the process for both yourself and everybody else in your chain. 1) Do the maths Before you even start browsing Rightmove, it is essential that you get all of your financial ducks in a row. You will need a deposit before you can do anything – the days of 100% mortgages are long gone – and the bigger the deposit, then the better the mortgage rate. Once you have saved a suitable deposit, 5% of the property price being the bear minimum, then you will need to get a mortgage agreed in principle. Only then are you allowed to start shopping! You will also need to budget for other fees and taxes, such as stamp duty, a solicitor, the survey, the searches and removals. 2) Sell your own home If you have a house to sell then it is vital that you have an offer accepted on it before you go looking at other properties. If you go on viewings when you aren’t actually in a position to proceed then you will simply be wasting your own time, as well as the vendors and the estate agents. You also run the risk of being severely disappointed if you find the property of your dreams, only to not be able to buy it. 3) Start researching Now that you are in a position to move you can start researching your ideal home. It is likely that you already have a location in mind, but often our dream area and our budget don’t actually marry up, so it’s always worth extending your search radius. Also line up properties to view that aren’t necessarily what you think you want but that fit in your budget – sometimes a property will surprise you. 5) Put in an offer When you have decided on a property, now is the time to put in an offer. Don’t be afraid to be cheeky either – the worst that a vendor can say is no! More than likely however, they will come back with a counter offer and you will meet in the middle, but it will depend on the strength of the market at the time. The estate agent will be able to advise you on what they think the vendor is likely to accept. 6) Commission a survey Once your offer has been accepted then you will need to commission a survey. If you are getting a mortgage then your mortgage provider will arrange this, if you are purchasing in cash then you will need to arrange it yourself. You will have a choice of a basic mortgage valuation, a homebuyers report and a full structural survey – the property will dictate which is most suitable. 8) Finalise your mortgage Get in touch with your mortgage provider now and let them know that you have had an offer accepted and the exact amount that you are purchasing for. You will now need to formally complete the mortgage application. 9) All systems go Once you have the results from the survey, and both yourselves and your mortgage provider are happy with them, then its all systems go! You could be in your new home from as little as four weeks from this point in, so you need to be proactive. While your solicitor is busy working away behind the scenes on your searches and legal stuff, you need to be having a major sort out! Get rid of as much stuff as you can at this point – there is no need to pay to have it moved just to throw it away once you get to your new place. 10) Find a removals firm You need to decide whether you are going to get a professional removals firm or rope in your mates and do it yourselves. Ultimately it will depend on how large your property is and how much stuff you have to move. A removals firm is always recommended however, as they have all of the necessary insurance and are used to doing it day in and day out. Always get three quotes before you commission a firm, and find out exactly what it includes – packing, for example, is usually extra. 13) Change of address Start notifying everyone of your change of address, and take all relevant meter readings too. 12) Exchange contracts You will by now have sent your deposit to your solicitor, and they will exchange contracts with your vendor’s solicitor. There is no going back once contracts are exchanged, and it usually signals that the big move will take place a week later – although it is possible to exchange and complete on the same day if you are in a rush. At this point you need to confirm your removals firm for moving day. FINDING FINANCE The majority of people getting on, or moving up, the property ladder will need a mortgage. The obvious first port of call when looking for finance is your bank – but do your research thoroughly first as your existing bank might not offer the most cost effective products. You don’t have to be a customer with a particular bank in order to qualify for their mortgage products, so at the very least shop around all of the high street banks and building societies in order to find the best rate. on the high street, so can save you a huge amount of money. They can also help people in more unusual circumstances – so even if a bank says no to your mortgage application, don’t give up hope! And it’s not all about rates either – some are far more flexible than others when it comes to eligibility criteria and size of deposit required, not to mention the length of time that they will allow the mortgage to run for. The downside of course is that mortgage brokers charge a fee, but this isn’t usually as much as you might expect – and you tend to recoup the fee over the long term with the amount of money saved on the mortgage product itself. And, in some cases, the broker actually gets paid by the mortgage provider – meaning that their expertise hasn’t cost you a penny. Visit our inspirational showroom for the most important rooms in your home, with unique brands at competitive prices. suggests that you don’t have enough storage. So declutter inside cupboards AND out – and show that you have room for everything. Then you need to get onto those DIY jobs. You know the ones: that leaky gutter that has been dripping for the past 12 months; those sticky finger marks on the kitchen wall; the skirting board that the dog had for lunch and the weeds on the drive. If you’ve been meaning to do them then that means that they need doing – so do them now or risk putting buyers off. Finally, make your space as appealing as possible. 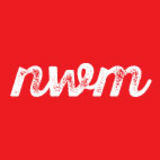 This means stumping up for fresh flowers, sticking on a pot of delicious smelling coffee and placing desirable publications on the coffee table – we’ve heard that North Wales Magazine is especially good for this!! FINDING YOUR DREAM HOME We hate to be party poopers but, in reality, your dream home doesn’t exist – and we aren’t necessarily taking Cribs mansions either. CHOOSING YOUR SOLICITOR It is physically impossible to buy or sell a property in the UK without a solicitor, so this is one service that you much budget for at the outset. However, we are sorry to say that not all solicitors are created equal, and many seem to take an absolute age in order to progress your transaction while others are completely on the ball. Solicitors can either charge a fixed fee, by the hour or a percentage of the property price – so make sure you understand how they will be invoicing so that you can compare like quotes with like. But how do you know whether a solicitor falls into the efficient or ineffective category? The answer is that you don’t until it’s too late, as it’s not really practical to change solicitors half way though the conveyancing process. Is your conservatory TOO HOT in Summer, TOO COLD in Winter and TOO NOISY when it rains? At ‘4 Seasons Full Conversions Ltd’ we have more than 12 years of experience in the conservatory roofing and domestic building works industry. So we can transform your conservatory into a useable and more liveable space through all ‘Four Seasons’ of the year. books and bric-à-brac. Even larger items can be given to a good cause, with many charities actually coming to collect unwanted furniture and beds free of charge. Try to recycle anything that is left – even if it means giving it away on Freecycle or Facebook. Nine times out of ten the recipient will come to collect the item, so it’s a pretty hassle free option, as is sticking it out on the street with a “free to good home” sign. Finally, take any remaining items to the tip – but hopefully these will be few and far between by this point. Now it’s time to tidy up all those cupboards that you’ve been meaning to tackle for years. Re-turfing a lawn is laborious and expensive and the quality of turf available locally can be varied. Many people aren’t aware that there is an alternative to turfing that will also enable you to have your lawn looking superb ready for relaxation and entertaining on summer days. Regener8 is a process that completely renovates lawns quickly at less than a quarter of the cost of re-turfing. It is available exclusively from Lawn Master, a national lawn care company run by experienced groundstaff and greenkeepers who have worked at some of the country’s most high-profile sporting venues. Lawn Master quick lawn system Developed more than a decade ago by experts who have maintained Premier League football pitches and Championship golf courses, Regener8 delivers outstanding results. Professional products and techniques are used in the process, which can usually be completed within a single day. Lawns grow healthy and resilient, with customers able to enjoy a better quality lawn within weeks of completion. With Regener8 there is no mess and you won’t need to lift a finger, as an experienced turf professional will do it all for you. They can also provide the all-important aftercare service to help you keep it in great condition. To receive a free, no-obligation quotation, please contact your local Lawn Master. You can find your local depot at www.lawnmaster.co.uk/start, by calling 0800 915 9 915 or by texting LAWN followed by your post code to 60777. STORAGE It might be that you are downsizing or moving to a house that needs complete renovation. Alternatively your new home might just simply not have enough of it but, whatever the reason, there are numerous ones why you might need some storage on either a short- or long-term basis. REMOVALS Once you have decluttered your home and got it into an organised state, it’s time to think about removals. It is possible to do this on your own, but moving day is almost always about time and so this can be quite a stressful undertaking. MOVING DAY So, here it is – moving day has arrived! Hopefully you are as organised as it’s possible to be at this stage, but you’ve still got a pretty busy day ahead. owners can begin to operate them immediately if they wish to, and do a final check of the house. Open every cupboard and every drawer in every room to make sure that you haven’t forgotten anything, and don’t forget to double check the loft, shed and garage. actually been left behind. You do hear the odd horror story of previous occupiers taking everything down to the door handles and light switches and, while this is extremely rare, it is important to notify your solicitor immediately if you think that something is amiss. And, depending on what property you have bought, another imperative job might be to change the locks. If you have purchased off an owner-occupier then this is probably an unnecessary precaution, but if the property was tenanted or vacant then it’s probably a wise move. While you took the meter readings at your old property on the day of the move, you will now need to take them at your new place. Hopefully the previous owners also did the same and there won’t be any discrepancies in the readings, but it’s best to sort it out at the start just in case. CHANGING YOUR ADDRESS One of the biggest headaches associated with moving house is changing your address. Everyone from the DVLA to your gym will have to be notified and, unfortunately, there isn’t a quick one-email-changes-them-all system available. You can use a website such as www.iammoving.com for the majority of major companies, but you will still have to contact smaller, independent firms directly – and the bigger boys may still demand notification in writing in any case. A good idea is to print off a pile of standard letters, stating your old and new addresses. Then simply fill in the relevant company name and account number by hand in order to save time.